Jumia serves 14 countries in Africa. It was a big day on Wall Street as ecommerce platform Jumia became the first African tech startup to be listed on the New York Stock Exchange. According to a regulatory filing, Jumia was proposing an offer of 13.5 million American Depository Shares (ADS), which each represent two ordinary shares, at an anticipated price of $13 to $16. Jumia Nigeria CEO Juliet Anammah rang the bell at the Stock Exchange on Friday morning after the pricing was pushed back a day. (A rep said the company wanted to update the market with some Q1 numbers and they need a day to digest.) At the same time, Jumia employees in the 14 African countries in which the company operates rang their own bells. An additional 150 employees from those countries were on hand to watch, taking selfies with the bell and trying to surreptitiously snap Mad Money’s Jim Cramer, who was seated directly across from the bell while shooting CNBC’s Squawk on the Street with Carl Quintanilla. Meanwhile, Jumia executives kept a close eye on the price as it rose, then dipped down to $15 to $17 and then climbed back up to $18 to $19 within the first hour or so. And by 1 p.m. ET, it was at nearly $23 a share. 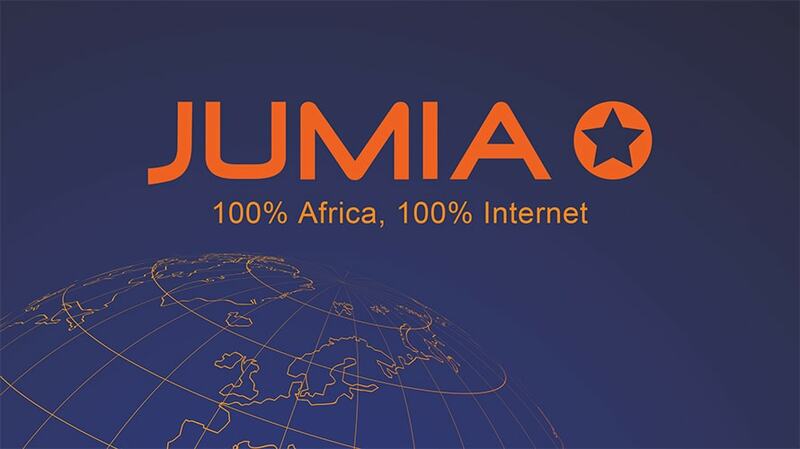 The filing said Jumia made the offering to increase financial flexibility, public profile and awareness, and to create a public market for its ADS shares and facilitate future access to public equity markets, but it did not cite specific uses. Jumia also has its own logistics and payment services for sellers and provides services like food delivery, travel booking, classified advertising and airtime recharging for mobile devices. Jumia operates in six regions. Nigeria is the largest with 28.6% of gross market value (GMV) in 2018, but its footprint also includes: Egypt (20.5% of 2018 GMV); West Africa (including Cameroon, Ghana, Ivory Coast and Senegal, which accounted for 18.9% of GMV); North Africa (Algeria, Morocco and Tunisia); East Africa (Kenya, Rwanda, Tanzania and Uganda); and South Africa. As of Dec. 31, 2018, Jumia had 4 million active consumers, which was up from 2.7 million the year prior, along with 81,000 active sellers. It had EUR 130.6 million ($148 million) in revenue in 2018, which was also up from EUR 94 million ($106 million) in 2017. Jumia says ecommerce in Africa is poised to grow rapidly as the continent is expected to comprise half the world’s population growth between 2015 and 2050. In addition, the average age was 19 years in 2015, which Jumia says is far younger than the global average of 31. “We believe that this younger generation, born into an online world, is increasingly seeking access to a wider choice of food, consumer goods and entertainment options as it becomes increasingly connected to, and aware of, global consumer trends,” Jumia said in the filing. Jumia competitors include Souq in Egypt, Konga in Nigeria and Takealot and Superbalist in South Africa, as well as platforms like Amazon and Alibaba, which it noted may choose to enter and/or expand in these markets. The filing noted Jumia also faces competition from transactions on social media. However, since it was founded in 2012, Jumia said it has learned all about the economic, technical, geographic and cultural complexities that are unique to Africa, and which vary from country to country.